Key practice: Where swede midge is a concern, seed as early as possible. Where swede midge can cause significant losses, consider B. juncea or S. alba varieties over B. napus. Swede midge were found in three fields in Saskatchewan for the first time in 2007 and eco-climatic modeling indicates that most of Canada is suitable for establishment. Although researchers expect the insect will become a regular pest of canola in the Prairie provinces, they do not expect the populations to reach the high levels found in Ontario. Rebecca Hallett, researcher with the University of Guelph’s School of Environmental Science, led a three-year project beginning in 2005 to provide canola producers with information about the distribution and impact of swede midge and appropriate management practices. Researchers mapped areas where conditions favoured population establishment and development and chose areas with the highest risk of initial swede midge invasion. These results identified nine locations to be surveyed across Alberta, Saskatchewan and Manitoba using pheromone traps in canola fields and cole crops. In a 2007 survey conducted by the Canadian Food Inspection Agency, a total of 11 swede midges were found on different dates on traps in three Saskatchewan fields. However, no larvae were found in the soil cores collected from those three fields, nor from three nearby fields. In the third year of this study, the relationship between swede midge damage, insecticide treatments and canola varieties was explored at sites in Elora and Arkell, ON. These tests included 20 canola varieties, seeded in mid-late May, with alternating applications of Assail and Matador applied at weekly intervals from June 1 to August 17. Across these variety tests, damage was higher among B. napus canola varieties than among B. juncea and S. alba varieties. AC Pennant, AC Sunbeam, Arid and Ochre had the lowest ratings for swede midge damage to the primary raceme and InVigor 5030, InVigor 5020, AP7978RR and OAC Senator had the highest. Among B. napus varieties, OAC Senator, Hyola 401, Arkell, Hyola 357RR and 45H21 had significantly lower primary raceme damage ratings than AP7978RR, InVigor 5030 and InVigor 5020. In terms of insecticide timings, plants treated at the first bud stage at Elora had less damage. However, there were no significant differences between treatment dates at the Arkell site. Hallett is also heading up a study titled “Development of Pest Management Decision-making Protocols for the Swede Midge in Canola,” currently in its third year. Findings to date have resulted in revisions to the swede midge management recommendations for 2015 and adoption by canola growers and advisors of pheromone-based swede midge monitoring. 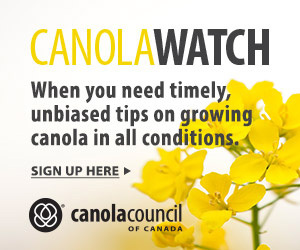 Further details can be found on the Ontario Canola Growers’ website. 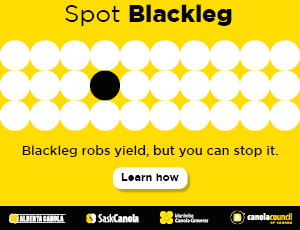 These tools improve the ability to time insecticide applications appropriately to protect canola in the early and late vegetative stages (2.1 to 2.5) when it is most vulnerable. 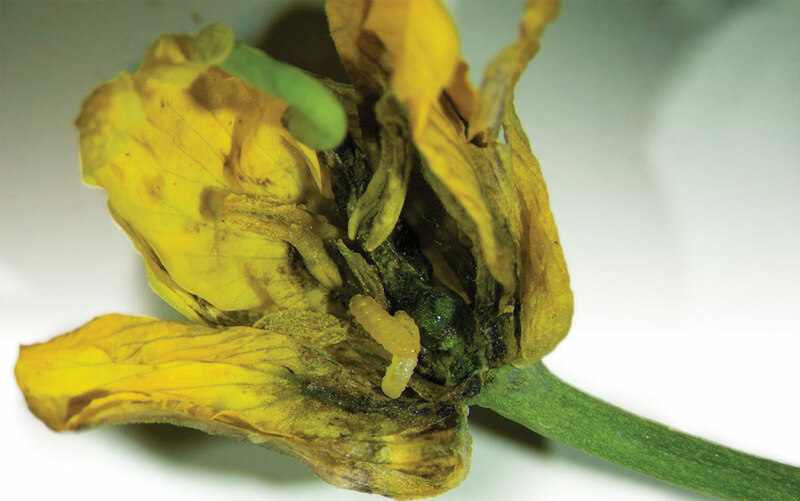 Insecticide application at the secondary bud stage is no longer recommended. Planting early can ensure your crop is past the susceptible stage by the time the pest emerges. Intensive monitoring and consultation is required to identify populations and accurately time spraying within the insect’s one- to five-day lifespan. Use pheromone traps to determine swede midge presence. Samples can be sent to AAFC Saskatoon for identification. Damage from swede midge is less prevalent in B.juncea and S. alba varieties than in B. napus. Swede midge causes occasional isolated economic crop losses, but no economic threshold has been established. 2006 spring canola trial, Elora, ON — at the vegetative state, swede midge damage was highest on late planted canola. Source: Rebecca H. Hallett, University of Guelph.